This is a once in a life time opportunity! 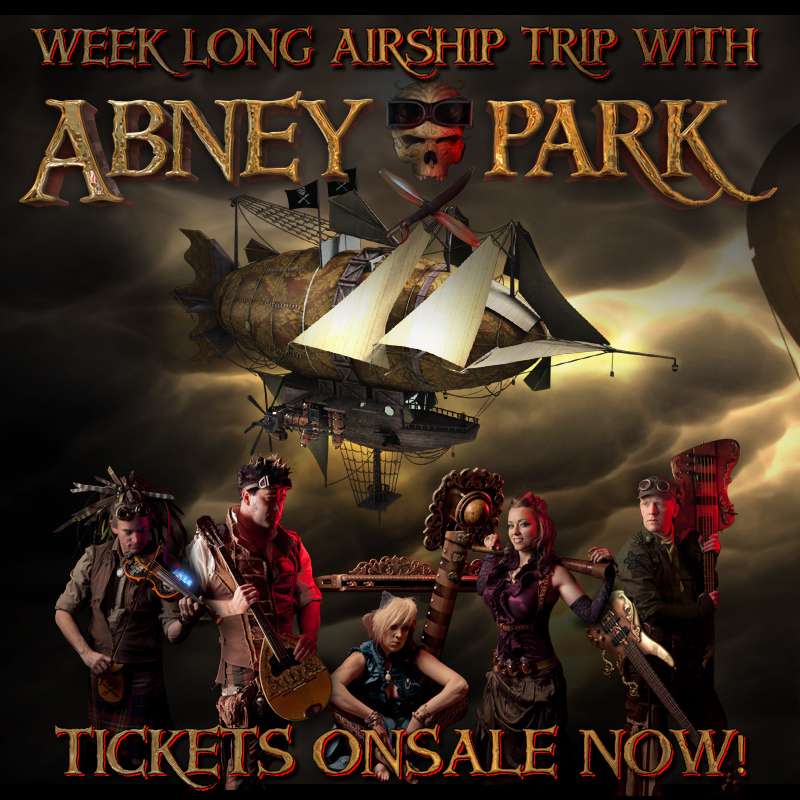 Not only will you get to spend a week with your favorite band, and really see what life is like for them, but you'll get to spend it ON AN AIRSHIP! Tickets are limited, so get them fast. 10:30 onboard, light dinner served, meet the band. All valuables placed in the Captain's safe (so you don't lose them). After we've gotten to 7,000 feet, and are safely over the pacific, we will jump to 1938. The following day we'll spend in the Beaches of Waikiki, prior to tourism taking over. Traditional Luau that night. Open bar! The second morning, we continue west, and will jump back to 1648. That day we'll spend some time in China, and learn what culture was like for the Chinese in 1648. Breakfast will be served onboard, but dinner and lunch are up to you. Chinese food! The next morning we'll travel back again, this time to Istanbul in 1200ad. Enjoy authentic cooking, shopping in the Grand Bazaar, and if anything like my last trip, running from the Sultans guards after spending too much time in the Harem! The next morning, any remaining passengers will re-board, and we'll continue on in London, England, 1853. I'm not really sure what to expect there at that time, as I'm too lazy to look it up on Wikipedia, but hey, its London! The next morning, we have our first challenge! While hung over from pubs the night before, try to find the airship, before we depart! Flight leaves at 8:00am, or whenever I wake up. Location to be reviled when you arrive. Remaining passengers will accompany us back to the Jurassic period for a three legged race! Participants will be airdropped. Pair up, and try your best to be the first back onboard! �The t-rex will be released ten minutes after race time, so make sure you stretch! Okay, so thats a week. If anybody is left, I split what we got in the safe, and home we'll go. This product was added to our catalog on Thursday 31 March, 2011.